Scott Allan came off the bench to score for the Easter Road club in their clash against League Two opposition. Hibernian bounced back from their thrashing by Rangers to advance to the second round of the Scottish League Cup courtesy of a 3-0 home win over Montrose. 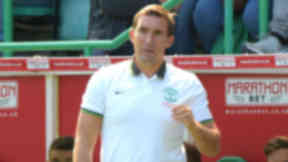 Alan Stubbs' side were routed 6-2 by Mark Warburton's Gers seven days ago but they responded in style thanks to goals form Scott Martin, Scott Allan and Jason Cummings. 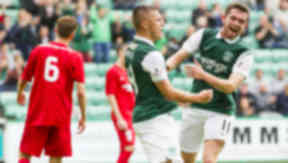 Teenage midfielder Martin opened his Hibs account 33 minutes in by pivoting and rifling into the net after being picked out by Alex Harris. It was 2-0 with 19 minutes to go when Allan moved inside and smashed into the bottom corner and Cummings wrapped it up with a third in the 82nd minute after finishing from close range.